Our forums couldn’t work out how Vogue Spain and Mario Testino managed to take such a horrible photo of Penélope Cruz last month and now we can’t fathom how they’ve managed to make the January cover look so cheap. 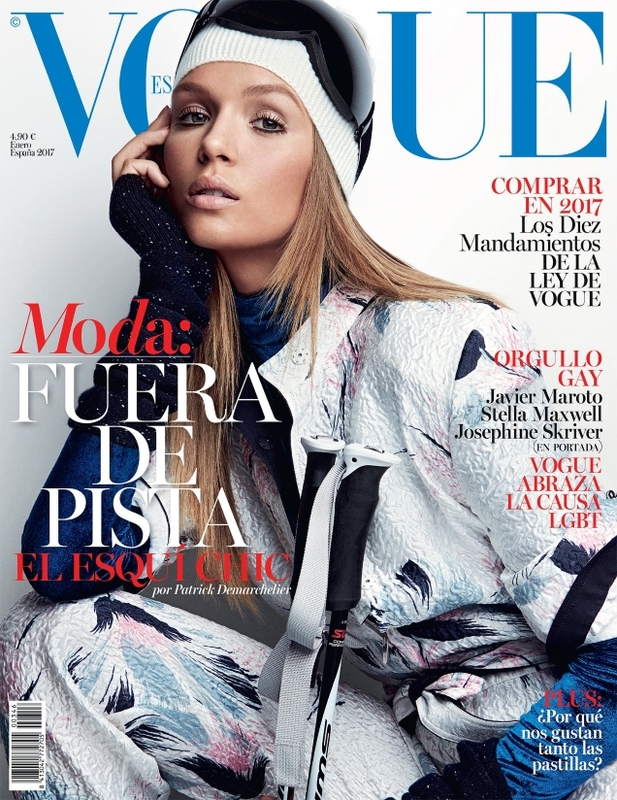 Starting the new year for Spanish Vogue is Josephine Skriver, who makes her debut as a Vogue cover girl. But even with photographer Patrick Demarchelier behind the lens, our forum members were divided over how things turned out. “Looks dated. Pass,” declared MON the moment the cover dropped. “I wish Vogue Spain would stop with the sports covers, they look cheap. First it was Doutzen [Kroes] in an orange anorak, looking like the world’s most beautiful football hooligan, and now it’s Skriver-on-skis,” disapproved tigerrouge. “The cover looks dated but I like it,” confessed narcyza, just as a more positive attitude began to fill the thread. Also quick to declare the cover a success was Miss Dalloway. “What a perfect January cover! Love everything about this, she looks fantastic,” she pointed out. Zposen used the word “gorgeous” to describe the cover, but do you agree? See more from the issue and join the conversation here.